Photo of: West of Ireland: Mayo: Wesport: Croagh Patrick. 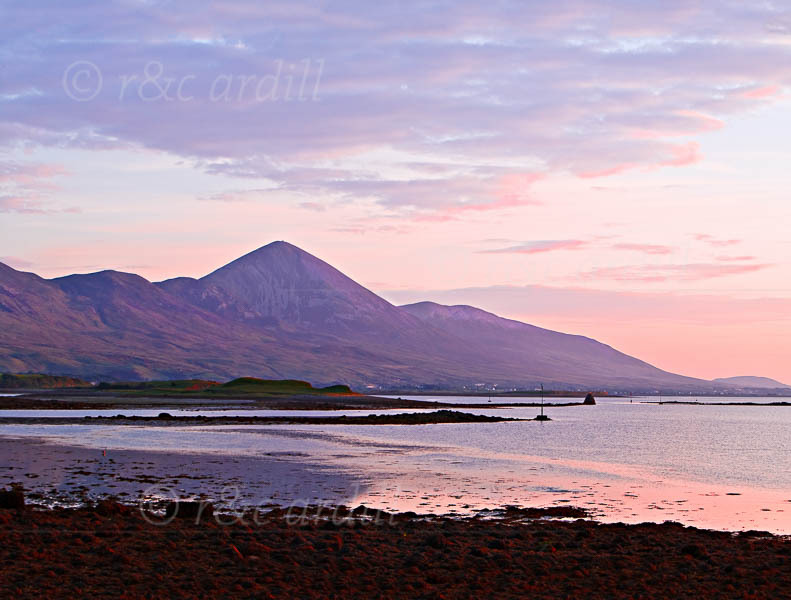 Image of Croagh Patrick at sunset taken from Westport. The image shows Westport Bay, part of Clew Bay. Croagh Patrick is one of the holiest Christian sites in Ireland.